Laughter is the physical manifestation of joy, and laughing is beneficial to both the body and social health. Laughter relaxes the body, boosts the immune system, triggers endorphins, protects the heart and makes one a likable person. 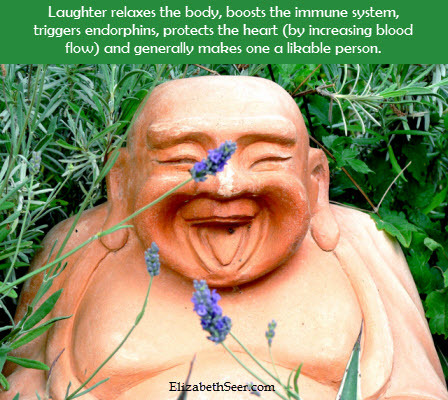 You can read more about the health benefits (and my love of) laughter here. joy in laughter, laughter for health. Bookmark.